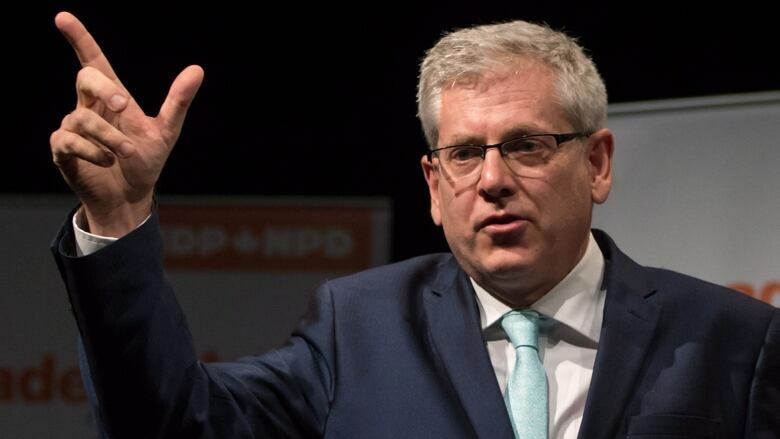 Charlie Angus, the NDP MP questioning a Canadian company's role in the Brexit vote, has warned that Canada is not immune to efforts to undermine elections. Canada is not immune to efforts to undermine elections, according to an NDP MP who has been reviewing allegations of rule-breaking in the Brexit referendum. "What worries me is that I think the political parties are now in the digital arms race," said Charlie Angus, the co-vice-chair of the standing committee on access to information, privacy and ethics. "If it happened in the United States and it happened in the U.K., we'd be very naive not to think it can happen in Canada," he told The Current's Anna Maria Tremonti, referring to misinformation and manipulation. 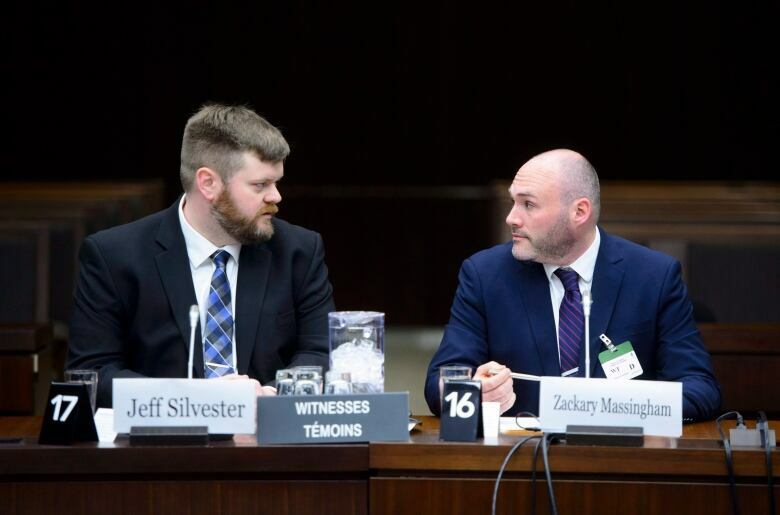 Angus has been reviewing allegations against Canadian company AggregateIQ (AIQ), as well as the Cambridge Analytica scandal, in which personal data was allegedly harvested online and used to profile voters in the U.S. and U.K.
Zackary Massingham, the CEO of AIQ, appeared via video conference Sept. 27 before the House of Commons committee to face questions about his company's role in the Brexit vote. The company worked with both the Vote Leave and BeLeave campaigns in the U.K., and was allegedly the conduit by which money passed between the two. "AggregateIQ, which appears as this little Canadian operation set up above an optometrist shop, was the key player in moving millions of pounds in ads during the Brexit vote," said Angus. AIQ has been accused of accessing the Cambridge Analytica data set for those ads, a claim which the company denies. Under British electoral law, campaigns can co-ordinate spending, but they must share a single spending cap. In March, a whistleblower alleged that was not the case with Vote Leave and BeLeave. AIQ was linked to an alleged effort to subvert those spending limits. "At the time, the UK Electoral Commission had advised Vote Leave that donations, such as the one made to BeLeave, were allowed under UK law. All work AggregateIQ does for each client is kept separate from every other client and AggregateIQ did not see any evidence of coordination between any of these campaigns," AIQ told The Current in a statement. In wake of Facebook Cambridge Analytica scandal, does the tech sector need a code of conduct? The company said it has met with the House of Commons committee as well as with the U.K's digital, culture, media and sport committee, and provided "extensive follow-up information" to both. "AggregateIQ continues to cooperate with regulators in both Canada and the U.K. to assist in their investigations," it added. Angus said that the company's role "remains murky" because "trying to get a straight answer out of them has been proving very difficult, even when we have them under oath." Angus hoped that the committee's work would shine a light on the so-called digital dark arts. "Maybe lessons can be learned," he said, "that may be legislative, that may be legal, and certainly, changes to electoral laws." Produced by The Current's Howard Goldenthal.